Magnetite reserves and industry knowledge that are world-class. A professional staff ready to make your needs our top priority. 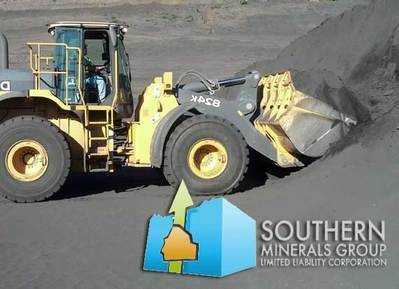 SMG's huge stockpile is available for immediate deliveries in any quantity. LTL and smaller shipments can be arranged in containers or bulk bags as needed. Let a knowledgeable SMG employee find a magnetite grade and delivery option for you! Contact us now: (575) 537-4947! SMG's stockpile is available for immediate delivery in quantities to suit any customer. LTL and smaller shipments can be arranged in containers or bulk bags as needed. Learn more about SMG's magnetite products. SMG's magnetite is a treated by-product of copper mining and milling activities with the material recovered by a magnetic separation process to produce the magnetite product which is now available for sale. The product has been processed through ball mills to grind the rock down to a P80 of 90 microns.